"The cart doesn't float so we are taking the train." 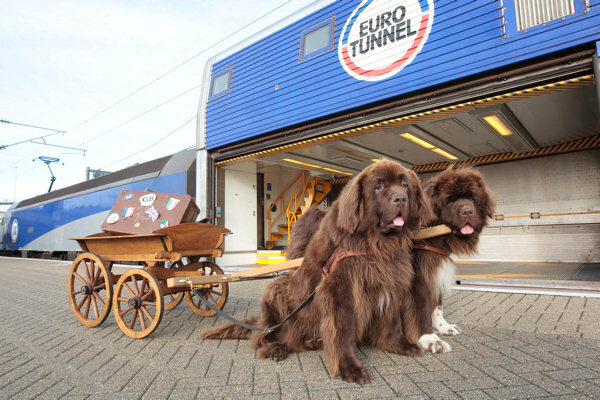 In January 2012, the DEFRA regulations regarding the movement of dogs were modified making it easier than ever to travel to and from the continent with your Newfoundlands. The information and the latest regulations can be found on the DEFRA web site by clicking here. You will need a valid Pet Passport but the process of obtaining one is straighforward. Several of our members have travelled with their dogs to shows and working events on the continent and report that it is a great experience, lots of fun and an excellent way to meet fellow Newfoundland owners and enthusiasts in Europe. 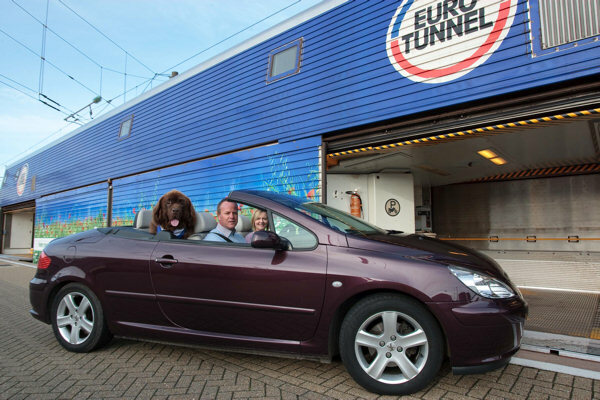 In 2012, the Southern Newfoundland Club has been generously supported by Eurotunnel with fantastic travel tickets which will be offered as prizes during the year. You can see the value of the tickets and make bookings on the Eurotunnel web site. 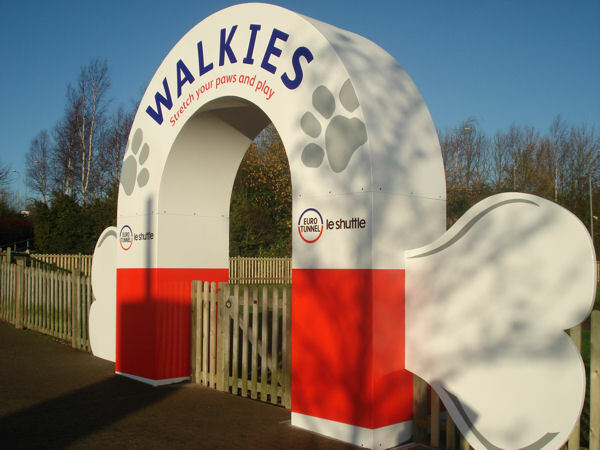 "When you arrive at Eurotunnel Le Shuttle your newfs can enjoy the large dedicated pet exercise area before boarding your shuttle. "A proper nerwfie-size exercise area!"